This thread will be dedicated to orders of all TM3 merch collectively so that members no longer have to search for the Decal thread, Plate covers thread and T-Shirt thread or try to figure out who to contact or where to buy items. Merch is available at all large TM3 events and select mini-meets. @S.F.W. & myself are also available to meet members in our areas to hand deliver. Plate covers are also available at Achillies Mazda Milton in the service department. For members outside of the GTA, orders came be shipped for an additional fee. Below is a list of our current items along with the prices. Decal colour and merch colour options are listed also. Please include size when requesting clothing merch and consider going up one size for sweaters to offset potential shrinkage. Sizes XS-XXXL in both men’s and women’s (select styles) available. Last edited by natspriceless; 06-14-2017 at 03:05 PM. Definitely copping one of those sweaters! 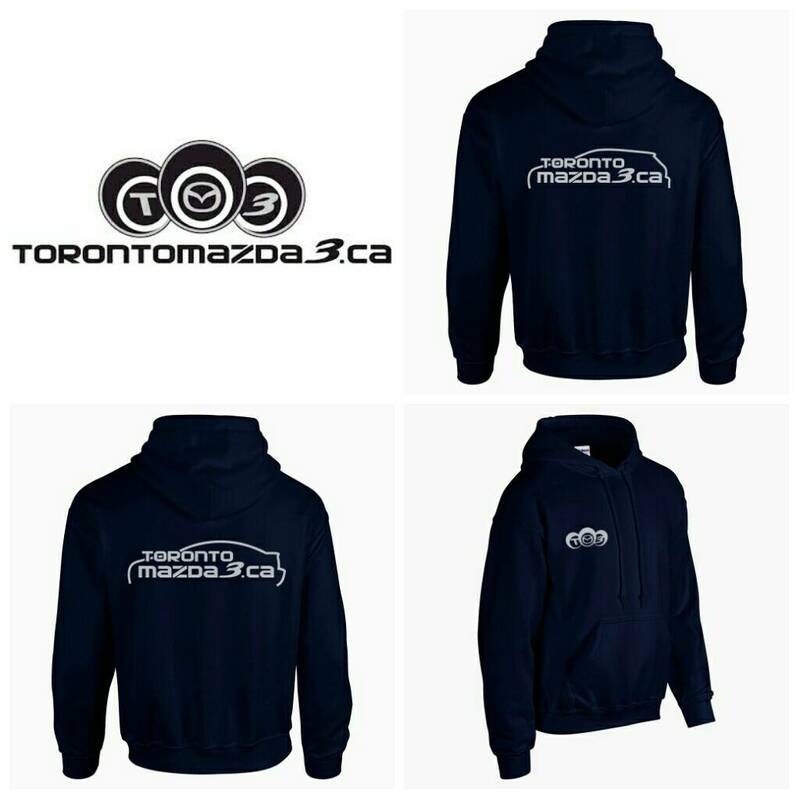 Select items will be available at the All Mazda Meet in Vaughan this Saturday. Awesome I'll probably swing by and get something! Will you be there the whole time?? I would love to buy the plate frames and two white decals! Im from brampton. [QUOTE=wiire;1357949]hoodies still avail? [/QUOTE @wiire yes. PM me to coordinate pickup. Future Shop or car audio shop?